Offering Headliners the opportunity to immerse themselves in a two-day adventurous musical experience full of sunshine and positive energy, world-renowned dance music artists will perform across three magnificent, top-of-the-line stages that EDC is known and loved for. Throughout the festival, fans exploring the multi-sensory adventure can expect to experience interactive theatrical performers, full-sized carnival rides, unique and interactive art installations and more. 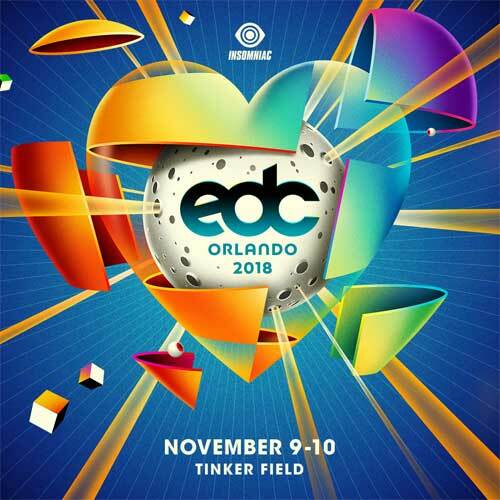 Tickets for the 8th annual EDC Orlando go on sale on Wednesday, April 18 at 12 p.m. EST. Welcoming a record-breaking crowd of 80,000 Headliners in November 2017, the breathtaking 7th edition of EDC Orlando joined attendees together to experience the new kineticGAIA stage following its debut at EDC Las Vegas. Amidst an expanded festival footprint along with more than 80 of the top dance music artists in the world, Headliners celebrated love and acceptance where all are welcome.